Hey guys! 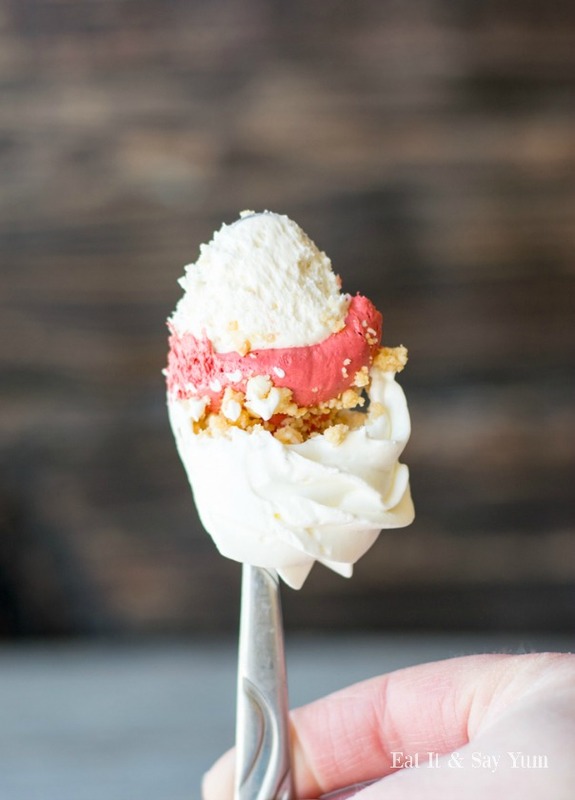 Valentine’s Day is just about here, and I’ve got the cutest dessert for you and your sweetie. These Mini Red Velvet Cheesecakes are no-bake, so even you can handle them! 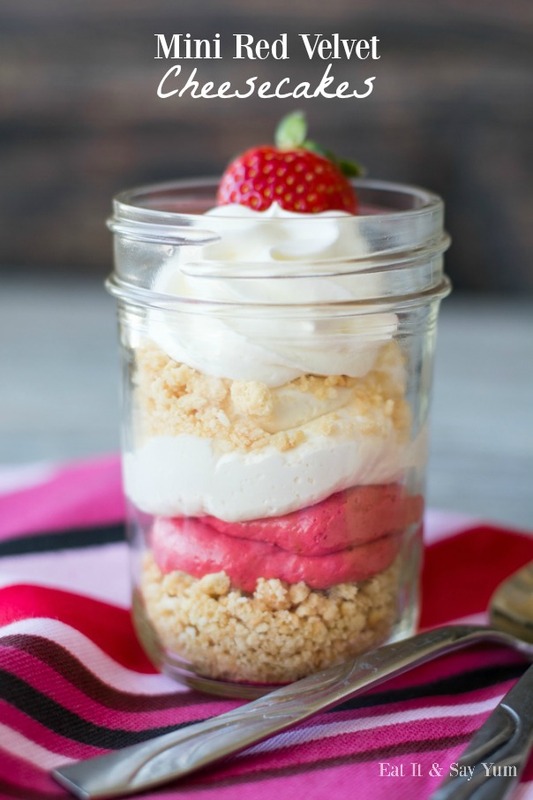 Plus they are so fun, served in jars, with two layers of cheesecake; one red velvet and one vanilla layer. They have a vanilla sandwich cookie crumbled crust, and whipped cream. YUM! You can make these a day in advance and have them sitting in your fridge all ready to go for that special night. In a large mixing bowl, beat the cream cheese with an electric hand mixer, or in a stand mixer. Once smooth, add the sugar, vanilla, and buttermilk. Beat again until smooth. Divide the cream cheese mixture in half and place half in a separate bowl. Add the melted chocolate chips and red food coloring to one bowl and beat again until fully combined. Fold 1 cup of cool whip into cream cheese mixture. Scrape both sets of cream cheese filling into two piping bags, fitted with a large round piping tip. Mix the sandwich cookie crumbs with the melted butter and salt. Stir with a fork, then spoon a tablespoon or so into a small jar. Repeat with 8-10 jars. Pipe some of each cheesecake filling into each jar, creating two layers of cheesecake. Sprinkle a few more cookie crumbs over top. Add some whipped cream over top. 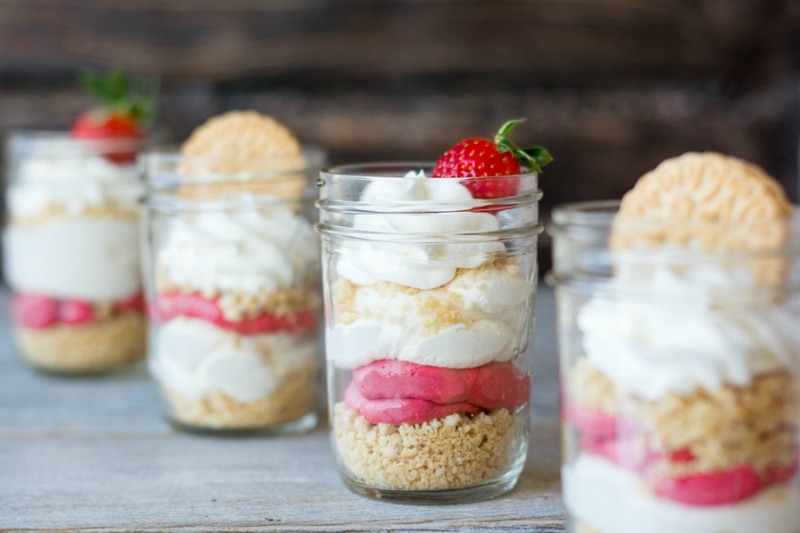 Top each jar with a vanilla sandwich cookie or a strawberry. 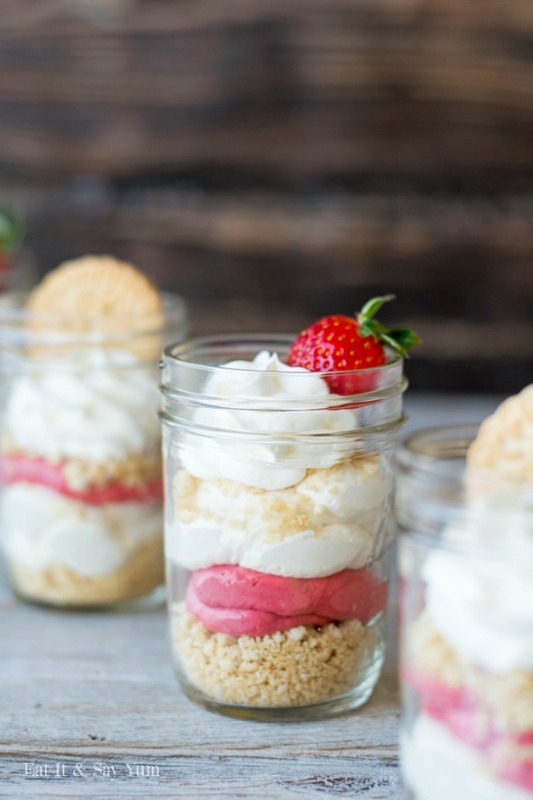 For more yummy dessert ideas check out Eat It & Say Yum.